Ola's prepaid wallet can now be used to pay for transactions on budget hotels aggregator OYO Rooms and other e-commerce platforms. Ola Money, currently used for payments across all of Ola's services such as taxis, auto rickshaws, food delivery venture (Ola CafÃ©) and grocery delivery service (Ola Store), has nearly 20 million customers, as per a press statement. It is one of the top three mobile wallets in the country by transaction volume. While the service has already been activated for payments at OYO Rooms, it will also be extended on Lenskart and Saavn going forward. "Ola Money was built to create a seamless payment experience for every request on our platform and is the most preferred mode of payment by a majority of our users today. By taking this experience to more merchants, we are enabling our users to do more with Ola Money and helping merchants gain access to one of the most convenient payment experiences we know of today," said Rushil Goel, head â€“ Ola Money. Ola wants more merchants to join the bandwagon. Ola's customers will get cashbacks and discounts in the initial phase of the roll out with the various e-commerce platforms. 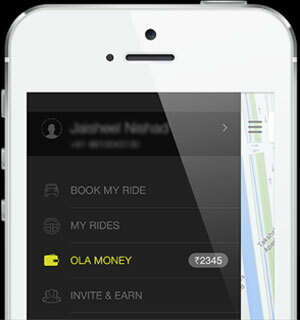 Ola's active wallet base has an average wallet balance of over Rs.1000, the company said. "Ola Money, we think is an important aspect of this seamlessness and extending it to be used as a payment solution on platforms like ours will give users more choice and convenience with a wallet they are already familiar with and use everyday. The sheer convenience of checking out with one touch from their phones, makes the Ola Money payment experience top notch," said Anurag Gaggar, vice president, product management, OYO Rooms.